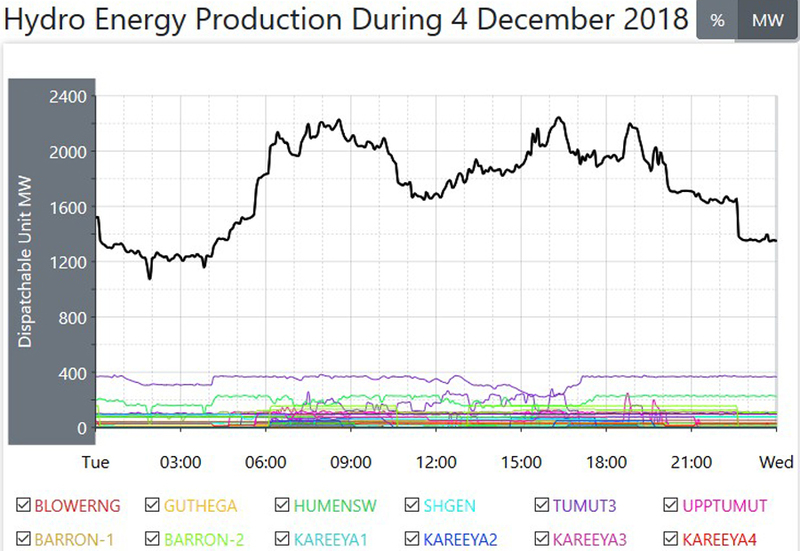 Overall power consumption fell slightly on this day, and power generation matched that fall, lower on this day by 400MW compared to the day before, down on this day to an hourly average of 22200MW, with the evening Peak creeping higher each day as the Summer approaches, and on this day, that peak was 24400MW. 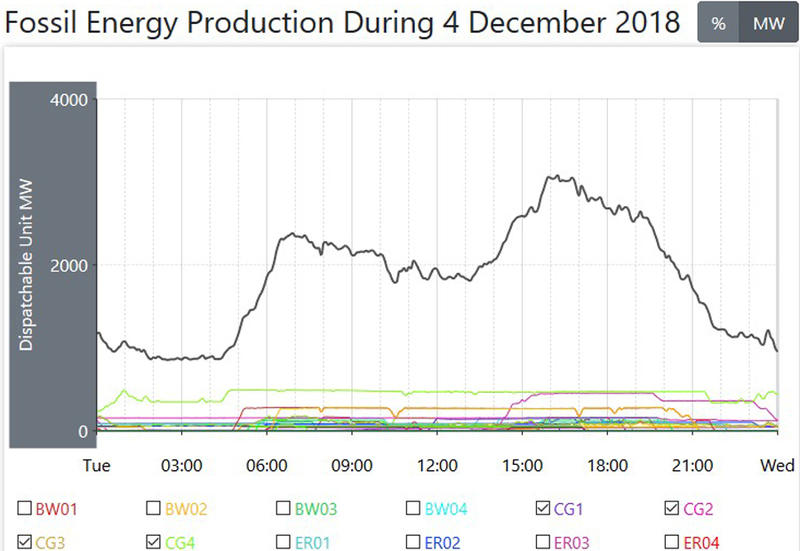 While overall power generation dropped slightly, the average for coal fired power was up slightly, up by 180MW to an hourly average of 16790MW. 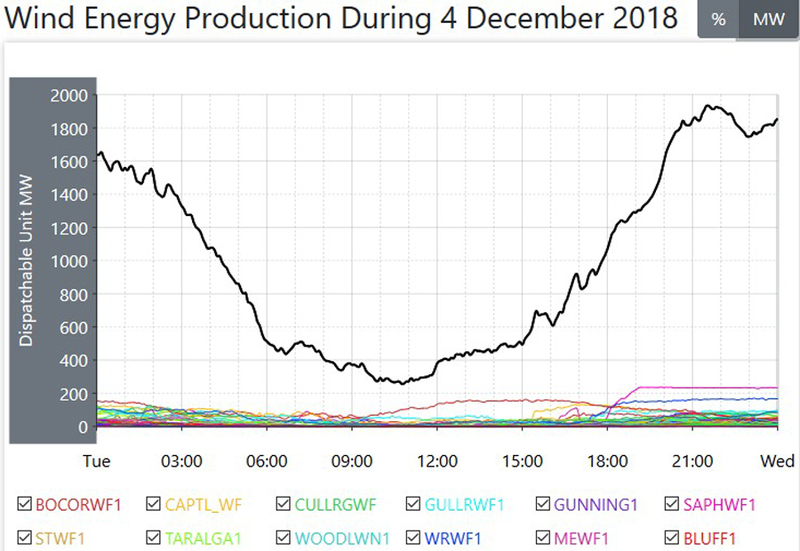 In Queensland, Unit 3 at the Tarong plant went off line at 2PM, rolling back to zero over the next two and a half hours. 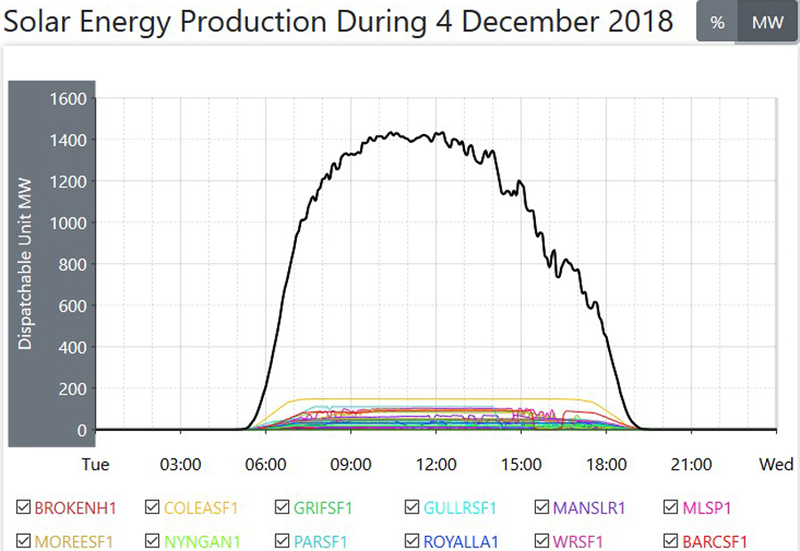 There are now seven of those coal fired Units off line. 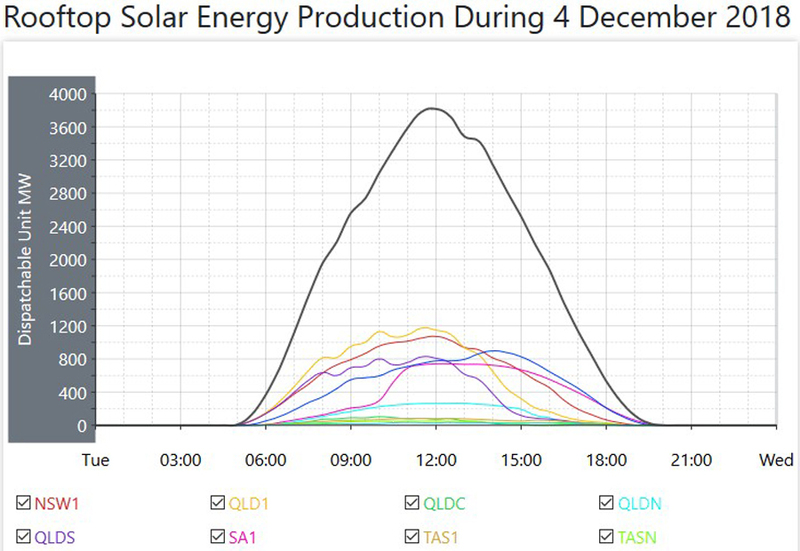 The average from those smaller other sources fell by 50MW and the average for Solar plant power was the same as it was for the day before. 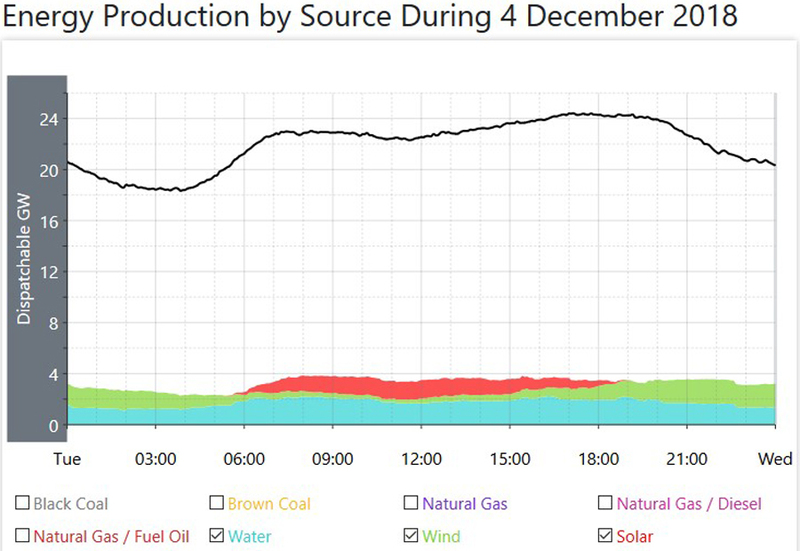 The average for hydro power was higher by 220MW and the average for natural gas fired power was way up on the day, 730MW per hour higher than the day before to an average of 1820MW per hour. 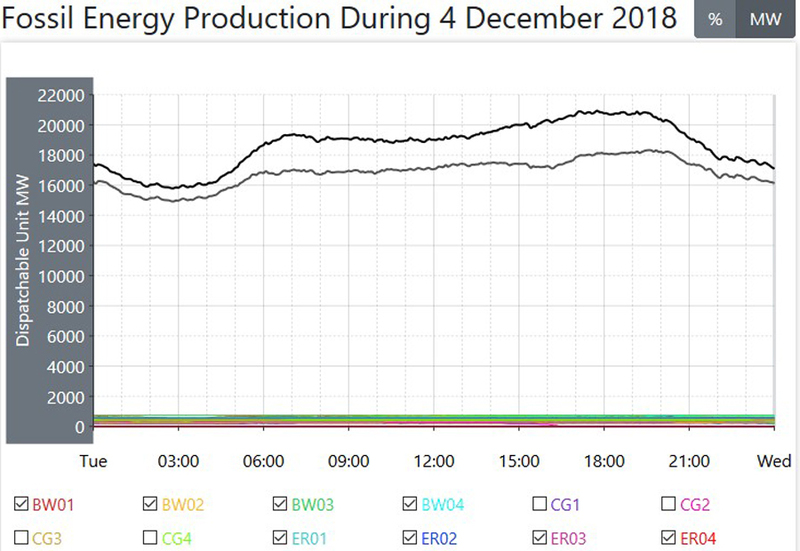 Both hydro and natural gas were higher because wind power had another of those days when it was very low, down by 1480MW per hour to an average of only 1000MW, giving wind power a daily operational Capacity Factor of only 18.3% As you can see from the graph, that prolonged fall to the daily low of only 260MW occurred during and after the morning peak, and at that low, wind power was only supplying 1.2% of the required power. 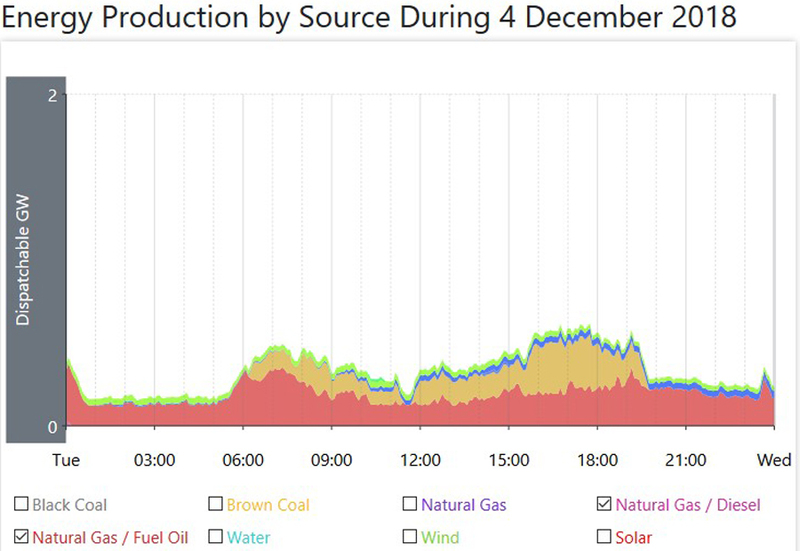 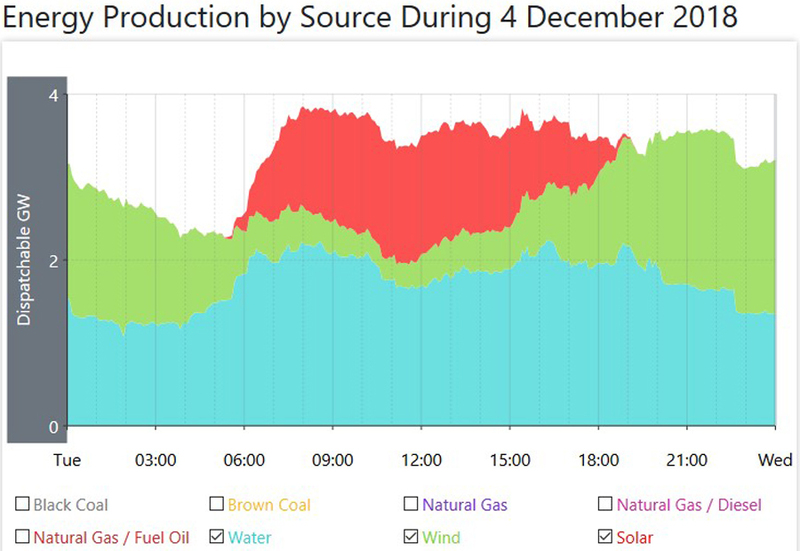 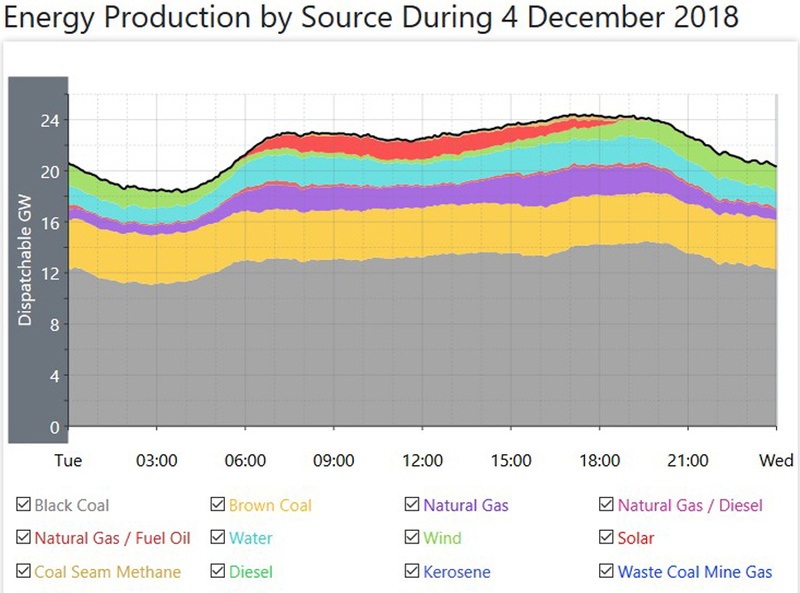 On a day when the overall average power generation from every source fell, and coal fired power rose, coal fired power delivered more than three quarters of all that required power across the day.